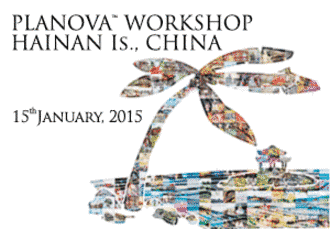 The Planova™ Workshop Hainan Is., China was held on January 15, 2015 at the Sanya Marriott Resort & Spa on Hainan Island, China. The number of participants set a new record high for workshops held in the China with distinguished guests in attendance from more than 45 companies and more than a dozen countries. The latest research and applications of Asahi Kasei Bioprocess products were shared through presentations by 12 guest speakers and Asahi Kasei Bioprocess staff. Oral presentations were divided into the following sessions: Introduction of Virus Safety, Introduction of Virus Filtration, Plasma-Derived Products and Recombinant Products. The presentations of The Planova™ Workshop Hainan Is., China are available online.